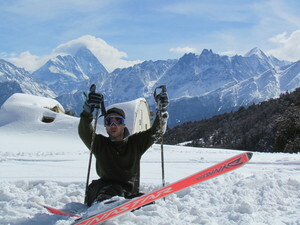 Sta nevicando in Auli ?Grazie! 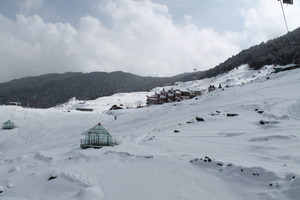 Auli is an ideal winter resort run by Garhwal Mandal Vikas Nigam (GMVN). 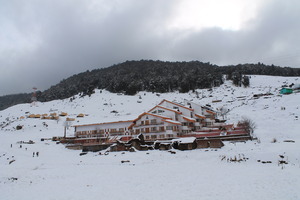 Auli is in the Chamoli district of Uttaranchal, Uttar Pradesh. 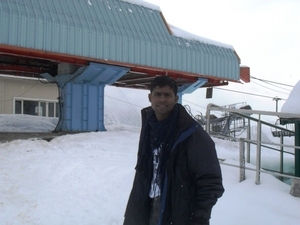 I visited Auli in early December 2015. Of course, snow or snowfall was not expected. We stayed at GMVN's Ski Resort. Though the cost was high, the services provided by the staff was excellent. 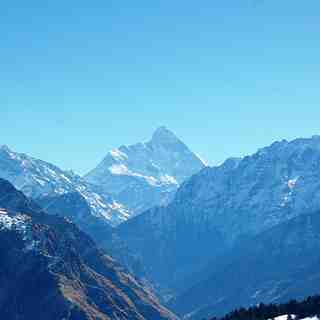 Apart from routine services, the staff also guide you around..
We, in fact, visited Joshimath, Tapovan, Gorsu etc. from the ski resort.The main constraint of visiting in winter is that if you are not a skier then the total time for just moving around is less, as it is dark before 6 pm. It is a place worth visiting in different seasons if you like to be so close to nature.